Scholars at Risk (SAR) has issued a letter to Hungarian authorities expressing concern over proposed legislative amendments that apparently target Central European University (CEU). If passed, these changes would threaten CEU’s existence as well as academic freedom and institutional autonomy in Hungary more broadly. Established in 1991 as a United States-accredited university, CEU is an international leader in higher education, home to scholars and students from over 100 countries. The university joined the SAR Network in 2000, and in that role has offered sanctuary to several SAR-assisted scholars fleeing threats to their personal and professional well-being, and has participated in many SAR Congresses and events on academic freedom and related university values. SAR member institutions and individuals are encouraged to draft and share their own letters and statements of solidarity with CEU by emailing Support_for_CEU@ceu.edu. Read CEU’s statement and learn more about how you can show your support by visiting their website. On April 4, the bill passed a vote in Hungary’s Parliament, with 123 MPs voting for and 38 MPs voting in opposition of the legislative amendments to the National Higher Education Act. Hungary’s President János Áder will have five days to sign the bill. On April 10, 2017, Hungary’s President Janos Ader signed into law the legislative amendments to Hungary’s National Higher Education Act. Universities will be required to comply with the amended Act by January 1, 2018. 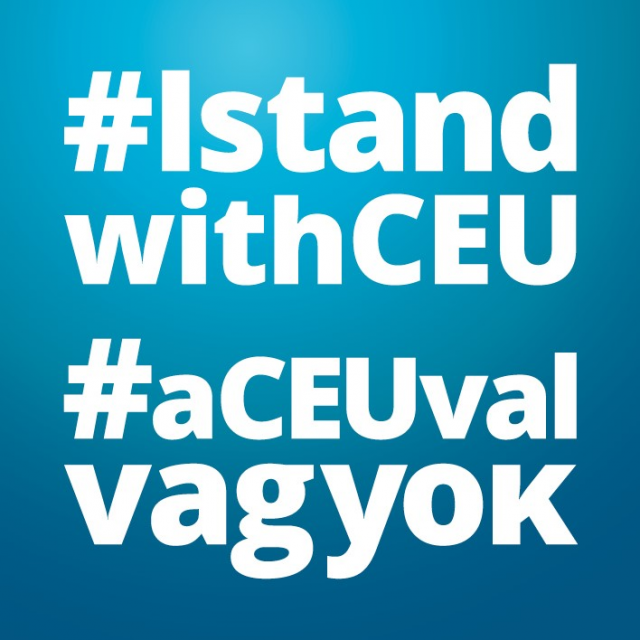 CEU, SAR, and our partners in Europe and around the world are standing strong, and call on state authorities to ensure that CEU and its peer institutions continue to operate in Hungary. For more information about the bill and for additional updates, please visit CEU’s website. I write on behalf of the Scholars at Risk Network to express concern over proposed legislative changes to Hungary’s National Higher Education Act of 2011 and their impact on the Central European University (CEU). These changes threaten CEU’s ability to continue operating and raise grave concerns about academic freedom and institutional autonomy in Hungary more broadly. Scholars at Risk (SAR) is an international network of more than 450 universities and colleges in 35 countries (including CEU) dedicated to protecting the human rights of scholars around the world, and to raising awareness, understanding of, and respect for the principles of academic freedom and its constituent freedoms of expression, opinion, thought, association, and travel. In cases involving alleged infringement of these freedoms, Scholars at Risk investigates hoping to clarify and resolve matters favorably. Established in 1991, CEU has built a reputation as an international leader in teaching, research, and scholarship in areas ranging from social sciences and humanities to cognitive science, with numerous departments that are consistently ranked among the top 50 in the world. Having been founded as a United States-accredited university, CEU was accredited under Hungarian law in 2004, through a joint declaration between the governments of Hungary and the State of New York. This is a common model, utilized by international universities all over the world; one that allows for significant scientific and academic exchange. SAR understands that the proposed legislative changes to Hungary’s National Higher Education Act of 2011 would directly impact CEU by, among other things, (i) mandating that CEU establish a new campus in the United States in order to continue operating and granting degrees accredited in Hungary and the US, (ii) mandating that CEU change the name under which it operates, (iii) and eliminating an agreement that allows faculty and staff from non-EU countries (including the US) from working at CEU without requiring work permits not required of EU residents working at other Hungarian higher education institutions. SAR understands that these measures would be administratively and financially prohibitive, threatening CEU’s ability to continue operating. SAR is especially concerned that the proposed legislative changes appear to impact only CEU in this dramatic and harmful way, raising concerns that the legislation is in fact intended to harm the institution. This concern is compounded by evidence presented by CEU that it has at all times operated in compliance with applicable laws, contrary to statements from public officials quoted in the media, and by other public statements that suggest retaliation against CEU for the content of research, publications, and events supported by CEU faculty, staff, students, and alumni. Such retaliation would be in clear violation of the principles of academic freedom and institutional autonomy which are essential to top quality higher education institutions everywhere. Such retaliation would raise concerns not only about CEU, but about the ability of all Hungarian higher education institutions to operate freely and to engage with the global higher education community, undermining the quality of Hungarian higher education and its ability to fully serve the state and society. We invite any additional or contrary information that may clarify our understanding. Absent this, we respectfully urge you to seek withdrawal or review of the proposed legislation to remove from it any damaging impacts on CEU and beyond. We further urge you to reaffirm publicly and in any private discussions Hungary’s commitment to core higher education values, including academic freedom and institutional autonomy, and to ensure protection for these in any future legislative or policy proposals.